New NBA Postseason Brackets Simulator. What if Playoffs Started today? 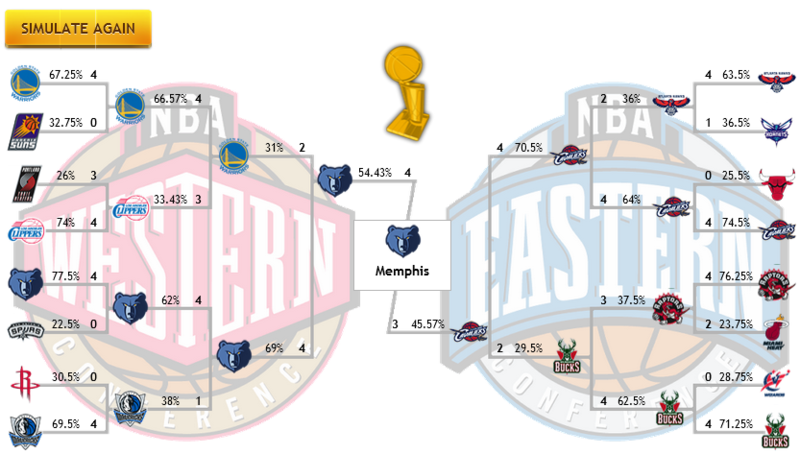 Zcode Playoff Simulator is using advanced prediction formula that takes into account 80+ parameters, optimized on the historical data to perform 10,000 simulations of the game and predict the anticipated playoff brackets and the series winners.